For now, Daniel Romo runs to escape. 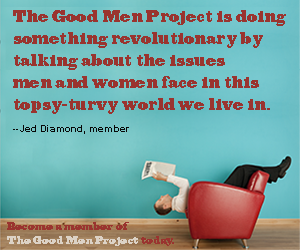 The Good Men Project Sports asked Why We Run? In this feature series, we share your answers. I jog down Bellflower Blvd. and relish the sound of traffic. Many joggers prefer their favorite familiar songs to serenade them while they trudge down the pavement, but I’m most at ease with the passing of strangers. I usually run just before sundown, the hint of cool coating me as if the light wind, both, compliments and chastises my body. I pretend I run solely to stay in shape. As if the only reason for cardio is to fine-tune my heart. But my heart is the reason I run. Not to further my odds of living a longer life, but to escape the one I have. This is also why I lift weights, play basketball, ride my bike … But running tortures me the most. And that is what I feel I deserve. I feel I must experience the solitude of hurt, step by step. I feel like my mind deserves to wander and ponder what my new life will soon be like. What their lives will be like without me. Who will lock up the house before bed? Who will open stubborn lids? Who can forgive a man for seemingly abandoning his family? By the time you will have read this, some might say I have run from the responsibility of fatherhood. That I took the easy way out of a marriage with years of rocky terrain I never learned to navigate. That my meager, daily, five miles was always a feeble attempt at training for a marathon I gave myself no chance to finish. I will not argue with those people. But I will say they don’t know the depth of my soles/of my soul. Because when a man hits rock bottom, he has no fight left in him; his spirit breaks like vows he always felt forced to make and keep for the sake of appearance. I will continue to run around my new neighborhood. I will continue pushing my body to keep going when all I want to do is give up and stop. I will not know how far five miles is, or which landmarks equal halfway. But I will learn. And the route will eventually get easier. Daniel Romo is the author of When Kerosene’s Involved (Mojave River Press, 2014) and Romancing Gravity (Silver Birch Press, 2013). His writing can be found in The Los Angeles Review, Gargoyle, Clackamas Literary Review, and elsewhere. He teaches creative writing and is the Head Poetry Editor for Cease, Cows and Co-founder/Editor at Wherewithal. He lives in Long Beach, CA and at danielromo.net. Please send us your submission via email to myself at [email protected]gmail.com or via Twitter @michaelkasdan #WhyWeRunGMP and #GMPSports. Submissions can also be made through the below comments section or on our Facebook page.